Search marketing tools from WordStream provide you with a robust set of tools for search engine marketing and search engine optimization. Improved Relevance due to the iterative, learning nature of the software's automation suite. You'll see constant keyword suggestions that you can continually refine and improve upon. You'll also be armed with the online marketing tools to effectively act on this data so that you see more and more targeted traffic over time. We at WordStream are marketers and search marketers, and every development and feature within the WordStream suite of search marketing tools is aimed at making you more efficient while helping to grow your profit margins. You can get started with a free trial of the WordStream tool set today. Or you can learn more about our paid and organic search features by following the links to any of our search marketing tools listed below. Search marketing starts with keywords. Being able to identify, manage, and optimize the keywords that will drive your inbound marketing campaigns is a crucial element in search engine marketing success. And more...really, every aspect of the product is designed to help you develop better keyword solutions for your search campaigns, which is why WordStream is heads above other keyword tools. 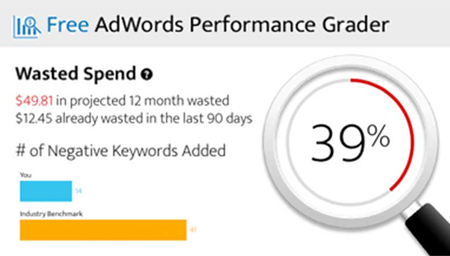 The WordStream suite of search marketing tools provides advertisers with a comprehensive set of PPC tools that automate processes from keyword research, all the way through to ad text creation and publishing. While a number of WordStream's features appear to be pay-per-click oriented, we also offer search marketing tools for SEO, which are incredibly useful for search engine optimization activities such as keyword research, information architecture design and more. WordStream search marketing tools offer Google AdWords integration, and the software's PPC and AdWords keyword grouping tools are specifically designed to provide users with Quality Score solutions which will help to lower costs and increase sales. Learn about all of WordStream's search marketing tool capabilities, from search engine optimization to PPC affiliate marketing. Here's a list of search marketing tools that may either be similar to WordStream, or may compliment our offering in some meaningful way, such as Wordtracker and SEM Rush. For those familiar with the market-place but not yet familiar with WordStream, this is a good place to learn about how our search marketing tools compare to or fit with other tools in the space. really want to learn about WordStream's Search Marketing Tools?